Welcome back to Candy Tuesdays!! Last week I was lucky enough to find candy related to sports! Now that the world is in tune with the 2008 Beijing Olympics, you see a lot of athletes wearing the Strong Band which was founded by Lance Armstrong and his foundation “Live Strong”. These bands have become popular over the past couple of years and now the candy market has jumped on the bandwagon!! 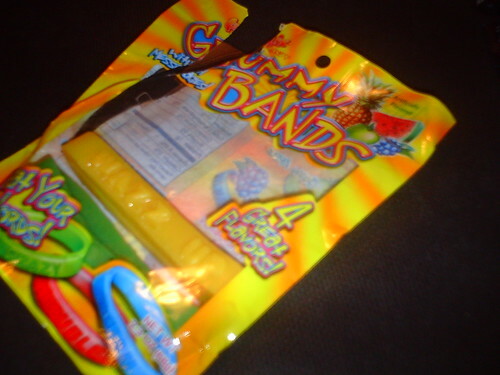 So today I’m presenting Gummy Bands!